Home Article Is Actress Tracee Ellis Ross in love? Know about her Affairs and Relationship, Who is she Currently Dating? 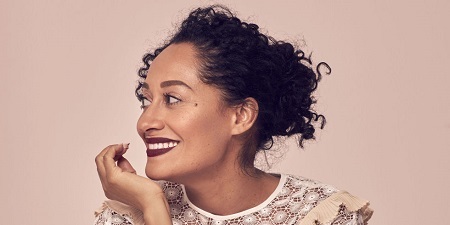 Is Actress Tracee Ellis Ross in love? Know about her Affairs and Relationship, Who is she Currently Dating? Actress Tracee Ellis Ross who portrayed the role of Dr. Rainbow in the series 'Black-ish' has received her first Golden Globe earlier this year for the performance in the series. Moreover, Ross has also created a history of being the first African-American woman to be nominated for Outstanding Lead Actress in NAACP Image Awards after 30 years. Many of you are familiar with Ross' professional life but how many of you know about her personal life. Is she dating? Who is her boyfriend? We have all the answers. Ross whose career rose to stardom after she landed as Joan Clayton in the series Girlfriends in 2000 is strictly professional. Currently, the 45-year-old actress who won her first Golden Globe earlier this year hasn't introduced anyone as her partner officially. In an interview with ABC News in February 2017, the actress revealed that she wouldn't mind if she is tagged as single. Well, it is quite a proof that the daughter of actress Diana Ross is currently enjoying her single life. "If you had told me at 23 ... that I was going to win a Golden Globe, I don't know that I would've believed you. But I also don't know that I would've believed you [if you said] that I would be single, 44, and loving myself more than I ever thought possible." "I feel like so much of what culturally, societally -- both patriarchy and misogyny -- sort of told me I needed in order to feel whole or full has not happened, and yet everything that has happened has been so perfect and hard at the same time," she continued. "But the gift has been that I actually love who I am." "I was born into a very public family and so I gained a relationship for myself to what is important ... [and] what is sacred in my life. I don't make a decision [that] 'I will never talk about my relationships' or anything like that." "That's certainly not a decision that I've made or anything like that, but there are certain things that are sacred to me that are not for public consumption. They are mine." Well, it looks like Ross doesn't want media attention to her personal life. Being single doesn't mean, Ross doesn't have any interest in men. Of course, she does and she was in several relationships before. Ross once dated Bu Thiam. The former couple started dating back in 2011. Their relationship lasted for about two years and later decided to call a quit in 2013. She was also once romantically linked to Chris Webber in 2007. However, neither the NBA star nor the actress confirmed their relationship. Their relationship is still a mystery to all. However, the speculation faded away after the NBA star tied to knot to Erika Dates in 2008. In addition to the list, her romantic link-up also includes Nas, Henry Simmons, and DeRay Davis. Ross was born as Tracee Joy Silberstein on October 29, 1972. Her birthplace is in Los Angeles, California, U.S.
She is Diana Ross and Robert Ellis Silberstein's daughter. She attended Riverdale Country School and Brown University. Ross also served as a model and fashion designer during her early career. Her debut film is Far Harbor in 1996. For her series Black-ish starring Anthony Anderson, she won two NAACP Image Awards and was nominated for Choice Television Award and a Primetime Emmy Award.